Publishers Bigben Interactive have launched a reveal trailer for Paranoia: Happiness is Mandatory, an upcoming RPG game developed by Cyanide. Paranoia: Happiness is Mandatory is the official adaptation of the tabletop role-playing game created by Dan Gelber, Greg Costikyan, and Eric Goldberg. The RPG is set in a dystopian future city controlled by A.I and the game follows this formula. Players take the role of clones who are welcomed to the ‘Alpha Complex’, where they are appointed as Troubleshooters, tasked doing whatever ‘Friend Computer’, the games governing AI body, tells them. 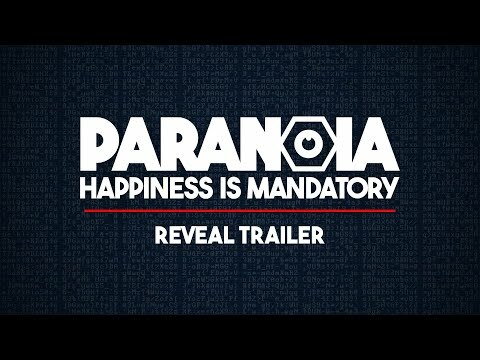 Paranoia: Happiness is Mandatory will be released on Windows and consoles in 2019, whenever Friend Computer feels like it.